How do we transform the way that we usually think? One answer to that question is to talk to people who think differently to us! This is the approach taken by Durham University’s Institute of Advanced Studies. This book summarises those discussions so far. 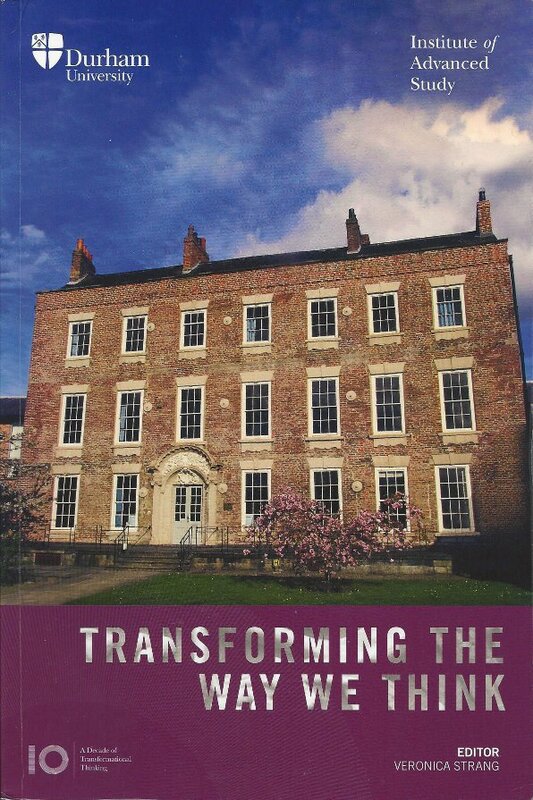 Transforming the Way we Think (2016) is edited by the director, Veronica Strang, and summarises the first 10 years of Durham’s Institute of Advanced Studies (IAS). Each year the IAS selects a theme and invites researchers from different subject areas to collaborate in exploring it together. The book seeks to summarise the discussions, make links between the different themes and say some of the ways that the findings have continued to be inform new research, and is available to download for free. In her introduction, Strang talks argues that an interdisciplinary approach is the foundation of research, rather than a bridge between areas of study. She also argues for the importance of play to enhance creativity and spark the imagination, along with the the importance of taking time out to reflect and meet with others, in ways which transforms thinking. This is the approach that the IAS takes, inviting researchers to get together and spend time sharing their various perspectives. I was reminded of the importance of this last year when I was able to spend some time at St George’s College, Windsor. It also highlights the importance of retreats (and not just for clergy!). There is then a chapter on each of the year’s themes, written by one of the researchers involved. Unpromisingly, this included a standard recapitulation of selfish genes and purposeless evolution, neither of which are necessarily correct, as I’ve discussed elsewhere. There is an important reminder that human evolution is continuing, and a focus on the ways that culture and evolution interact and the ongoing arguments over how this works, including the statement that “human culture has not overriden natural selection” (p24) but also the recognition a page later that human culture is often the driver of selection pressures (for example, the selection for genes allowing the drinking of milk being driven by the domestication of cattle). There is a discussion of the ongoing questions over what divides humans and non-humans and a welcome focus also on faith and evolution, on wonder, and on scientists understanding religion well enough to study it properly! This is defined as “a cognitive and social necessity for making manageable and communicable ways of understanding how the world works” (p34), with one exploration of this being through the theology of Anselm. This highlighted the cultural context of metaphors and models, and also showed some of the problems of modelling: that of mutual incomprehension , the limitations of models, and the question of whether models (or particular models) are fables (giving a particular explanation) or parables (which require interpretation and are open to more than one explanation). a model is primarily a heuristic device: a necessary aid to structure our thinking about the world, rather than something that can offer definitive ‘proof’. This also highlights one of the dangers that wasn’t discussed, which is that of allowing the model to become more important than the underlying reality. We see this in the debates over ‘selfish genes’ and the various forms of atonement theology. Unfortunately, there was a disappointing lack of theological insights in this topic, despite discussing theological topics. So, for example, the past understanding of the divine and humanity were explored by a historian, archaeologist and English scholar, rather than also including a theologian. Again, the Hearing Voices sub-theme was approached mainly from a psychological perspective, although did include some theology. There was therefore perhaps a lack of perspective on how theological thinking continues to shape and inform people’s lives? This theme also explored our capacity to think, how our emotions affect this, and our unique capacity to imagine and be influenced by the past and future. The importance of recognising that we have embodied emotions was also stressed, which again is something that would have benefited from a theological perspective of humans as ensouled bodies. How sometimes we can elevate ignorance over intelligence, and the dehumanisation of the Other. Constructing our identity is both important and also dangerous (so, for example, the Roman prohibition on women speaking in public). There was also a fascination examination of niche construction, which is where a plant or animal changes its environment, thereby affecting natural selection. This is a very important insight that needs to be better known. It also shows some of the limitations of the model of the selfish gene and is a further warning about our current negative niche construction through global warming. Its importance for life and in language and metaphor was explored in different ways. The problems with using water as a metaphor including depersonalisation and a lack of agency was also examined. This theme also explored the sacred use and meaning of water (not least in baptism), and the importance of water in past societies and for historical movement of people. The lack of water also remains a significant factor in conflict and people movements, as is being currently shown in the Middle East. In some ways, the poem offers itself as an answer to the problem of death. It insists that we need to hear the stories of people who lived and died long before us. Conversely, it suggests that the people of the past need us – they need to know that what they have done, suffered and achieved, matters, as Home said, ‘to the generations of people yet to be’. This attitude is one that is also found in parts of the Old Testament, particularly in the Psalms, which speak of telling God’s deeds to future generations (eg Psalm 78 and Psalm 145). It is also still a motivating factor today; witness for example the importance that politicians place on their ‘legacy’, and on the importance of people dedicating a whole variety of things in people’s memories. This theme also explored the changing role of religion and the importance of children’s spontaneous play in helping them imagine a better future. Examined how access to resources can affect future technology (a well known consideration in archaeology). The importance of intergenerational justice was also discussed. This highlighted problems with contractual justice, which works for consenting, rational adults but not for children, animals or the environment. And problems with basing relationships between parents and children on the concept of rational choice, which may not be appropriate. The discussion concludes that “we may need to reimagine the self” (p74). A different way of understanding the self available is available through Christian theology, which (at its best) stresses the concept of all humanity being created in the image of God (the imago Dei), and the concepts of being part of the body of Christ, and that of the radical equality of all being one in Christ. It will not quite do, then, to categorize the entire Christian tradition as engaged in a war against corporeality, and it is clear that the attempts by the ecclesiastic body politic to discipline the natural needs and wants of the individual body were doomed. It is for today’s Christianity to understand these insights. This is of course something that the Church of England is currently wrestling with through the Shared Conversations. the emergence of written records … by their very nature, tend to be more chronological than the circuitous narrative forms that typify oral storytelling, or the multiple temporalities possible in visual media. 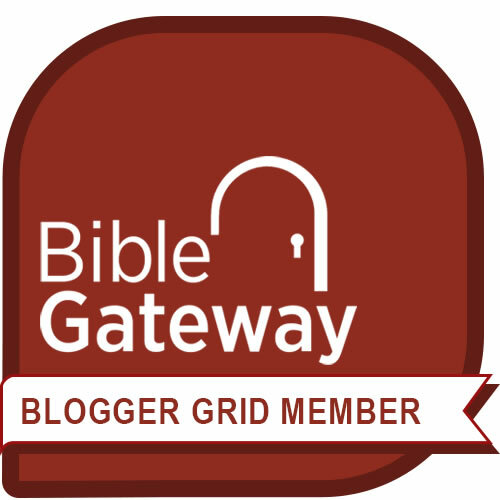 What can be seen in the Old Testament narratives (and the Illiad and Beowulf, etc) is a mixture of the circuitous, repetitive nature of oral storytelling and the chronological So, for example, the book of Judges is pretty clearly originally oral, while 1 and 2 Chronicles is obviously written (and states as much). This, and the other work undertaken in the Time theme is a reminder that our understanding of time is itself a product of our culture: other cultures had different perceptions of how time passed and how time worked. There is also a discussion of the creation of a 7th century soundscape, inspired by the monks of Lindisfarne. This sounds like a great piece of work, but by deliberately excluding human sounds, I think falls into the trap of nostalgia, of romanticising the past. The text recognises that this life was far from idyllic, with cold, hard work, and strict routines being large parts of the lived experience of the monks. But is this and the human impact on the landscape adequately reflected in the soundscape? From the description, I am not sure it was. Similar to the Water theme, this explored Light’s importance both actually and metaphorically, along with darkness. This included a critique of the assumptions lying behind metaphors such as the term ‘The Enlightenment’, with the implications of the inferiority of other world-views. This is also examined in Richard Holmes’ book The Age of Wonder, while theologians, including John Hull, have critiqued the theological assumptions behind blindness as a metaphor for a lack of theological awareness. Although I don’t always find Hull’s arguments persuasive they are, like this theme, helpfully challenging. The importance of understanding how complexity can emerge from simple interactions and the ways that this is opening up new ways of understanding the world was explored. As was clearly noted, this need not remove the wonder of these systems. There was also a helpful discussion on weak and strong emergence. Weak emergence is where the properties that emerge are explicable by understanding the behaviour and interactions of the underlying processes or agents. In contrast, strong emergence is the understanding that some emergence is irreducible to lower levels. However, this identification of strong emergence remains controversial, not least due to the significant challenge it represents to reductionism. Although this wasn’t discussed, even weak emergence is an important part of the understanding of critical realism, which can also inform our understanding of the Bible. There was however, a discussion of the emergent properties of minds, including over the argument that minds need to be understood within both their physiological and environmental contexts, an understanding that is often held by non-Western cultures, and which also resonates with the theological understanding of ensouled bodies, which I linked to in the Being Human section as well. The exploration of the emergence of democracy in ancient Athens was also discussed, arguing that this has driven military and cultural innovations in ways which are still evident. knowledge emerges from long-term biological evolution, shorter-term cultural adaptations, and individual life experiences. This theme critiqued ‘evidence-based policy’ as potentially concealing the “many-layered engagement of conflicting narratives” (p133). This led on to a discussion about Bayesian thinking, where probabilities are weighted depending on how likely they are assumed to be before testing. Although not discussed, this has had a significant impact on dating in archaeology, as it is clear that underlying layers (almost always) have to be older than layers further up. It is therefore possible to reduce the likely date range of scientifically dated samples. However, it has wider applications, not least in revealing the implicit, complex evaluations of evidence that we frequently make: “Evidence and its evaluation lie at the heart of being human” (p134). There was also an excellent critique of the freedom of ‘choice’, given the many different factors that constrain our likely choices in ways that we often don’t recognise. This has significant implications for political policies based on ‘choice’, and is also a challenge to narrow models of evangelism, overly focused on a simple, intellectual ‘decision’. This is also shown in the discussion of the philosopher Mary Midgley’s arguments on the significant errors reductionism makes in understanding what it means to be a human. This does not imply, however, that evidence of humans cannot be evaluated using models, but is a recognition of the limitations of any one model on a complete understanding of being human. We realised that the internet would reinforce the availability of evidence, but failed to anticipate that it would be equally effective in reinforcing differentiated and self-perpetuating priors – those powerful Bayesian co-factors, able to erode all weight of evidence. This of course reinforces the importance of engaging with different perspectives, of interdisciplinarity, and the necessity of being challenged by other people. At their best, universities, churches, and the internet can all do this, and Transforming the Way we Think is an interesting and thought-provoking challenge to continue to do just that.